Create a sparkling icicle effect inside and outside your home with a generous run of LEDs in stunning cyan. Suitable for outdoor use these LED Icicle lights have a 2/4/6 hanging combination and come with a 8 pre-programmed controller for various effects. 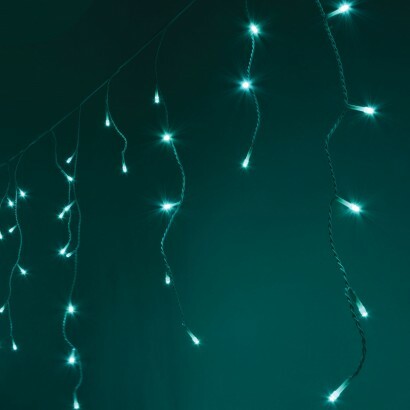 Available in cyan, these sparkling lights are easy to place and have a timer function too so that you can simply place them and leave them to switch on at the same time every night. There's a generous 10 metres of cable from the plug to the first drop of icicles, and a further 6 metres of illumination.